Ex 1.6,8 In a committee, 50 people speak French, 20 speak Spanish and 10 speak both Spanish and French. How many speak at least one of these two languages? 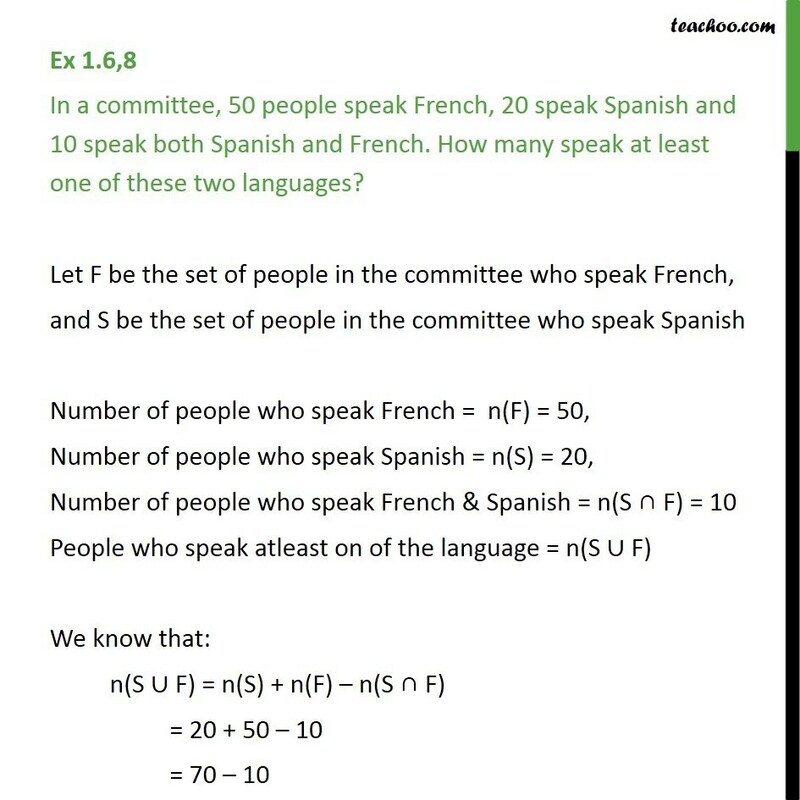 Let F be the set of people in the committee who speak French, and S be the set of people in the committee who speak Spanish Number of people who speak French = n(F) = 50, Number of people who speak Spanish = n(S) = 20, Number of people who speak French & Spanish = n(S ∩ F) = 10 People who speak atleast on of the language = n(S ∪ F) We know that: n(S ∪ F) = n(S) + n(F) – n(S ∩ F) = 20 + 50 – 10 = 70 – 10 = 60 Thus, 60 people in the committee speak at least one of the two languages.